President M Abdul Hamid today put emphasis on specific measures to be taken by the universities to improve the quality of higher studies. 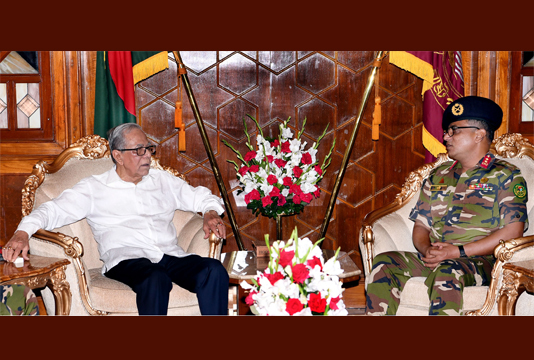 He was talking to Vice-Chancellor of Bangladesh University of Professionals (BUP) Major General Md Emdad-Ul-Bari made a courtesy call on him at Bangabhaban, reports BSS. During the meeting, the President was apprised by the VC of different problems and development activities of the BUP, President’s Press Secretary Joynal Abedin told media.